As an independent property adviser, we help you to find your dream home. Once we have established what you are looking for, we put together a tailor-made property portfolio for you and accompany you on viewings. We work with a carefully selected network of local real estate agencies. Our partners consist of reputable estate agents from different nationalities with whom we have had positive experiences for many years. You only have to deal with one contact person who will be happy to answer all your questions about the sale, finance, construction, estimates, etc…One of our team members will always accompany you during a viewing. 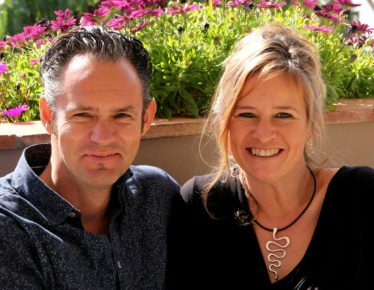 If you are interested in a particular property, Geert or Patricia will accompany you for a second viewing to make sure nothing is overlooked (e.g. damp problems, cracks, sinking of swimming pool…). We ask our clients to show us a certain amount of loyalty as far as searches via internet are concerned to make sure that we can support you 100%. Every time you send an inquiry to portal sites or other offices they will register you as a client. Even if you have no intention of using them. This complicates the way we work. As soon as you register (free of charge) as a client, you can make your own suggestions with regard to properties you have found on the internet. We can then act as an intermediary. This way you can save yourself a lot of money, time and worry and you can be assured of an efficient and result-driven approach! Additionally, you can benefit from the professional advice of an architect when buying a property. If you have plans for renovations, you can engage the services of our project management team, which will ensure the entire project runs smoothly from start to finish. Our way of working means that you, as a buyer, do not incur any additional costs. In Malaga province, the property price includes a commission for the estate agent. When we work with our local partners, we share this commission on a 50/50 basis. We are very transparent about this. 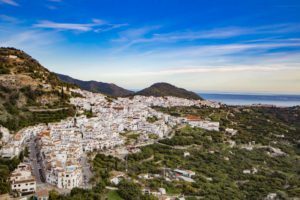 As far as property is concerned: have a look at our ‘Andaluciavastgoed-selection’ of exclusive properties in the Axarquia region or our extensive partner network with more than 15,000 properties in Andalusia (mainly in the regions Malaga and Granada).